It’s so hot right now. No, no, not the weather. Here in New York, it’s below freezing and I’m wearing three sweaters. It’s all the rage though, and everybody’s doing it—everybody who’s anybody, that is. Or, if they aren’t doing it now, they plan to as soon as the timing’s right. I’m not talking about spinning or zumba. Not Tinder, Grouper, or online dating (we can get to that later). For a few months, I ran the media side of a small tech start-up called Mavrx. Mavrx provides critical image mapping and big-data analytics for agricultural operations. (Hit up our website for more info.) 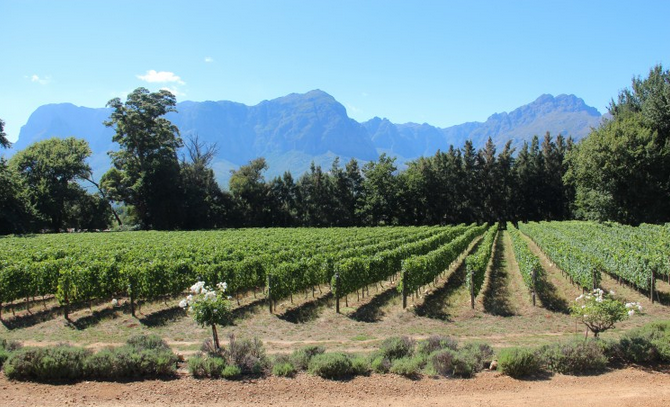 We were in Cape Town to work with South African vineyards and grape-growers during their growing season. While there, we tailored our tech product to best fit their needs. The next steps: expanding our market to other countries, other crops, and even other industries. Now, I’m back in the Big Apple—about as different in culture (and temperature) from Cape Town as possible. As I inevitably meet new people here, the same questions crop up: Oh, you were at a tech start-up? What did you do? Did you like it? As the media & communications guru for Mavrx (a self-proclaimed title, I admit), it was my job to run the public image of our fledgling company. I designed a website, put together press and sales and pitch materials, blogged, Tweeted, Instagrammed, and generally managed what I call “brand development.” I had dabbled in all of these things before, but… it’s different in a start-up. Each task required me to muster up a full measure independence, self-confidence, and initiative. Here’s the thing about working in a small company with no set structure and no guidelines to follow: you make it all up yourself. You learn a hell of a lot. You mess up. And you figure out, slowly, what makes you tick in a work environment. For someone who’s played by the rules all her life, I often felt that I’d suddenly been thrown into the deep end. The good part? I learned to swim. 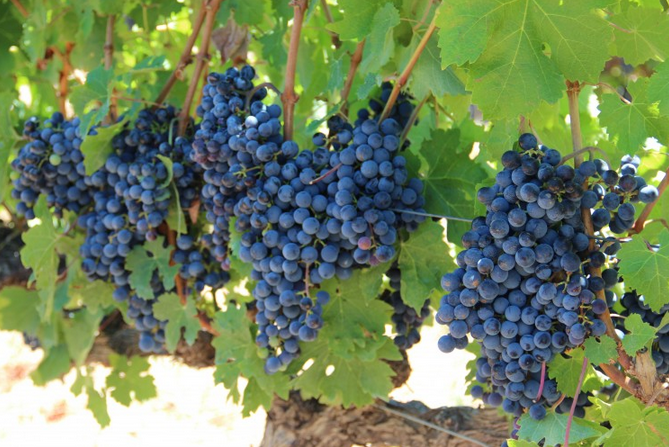 Tasting fresh grapes on the vines was a serious perk of the South Africa job. I’ve always been worried about work-life balance; I’m not particularly skilled at doing anything in moderation. For me—and I think for many of us—it’s always all work or all play. Some of my internship experiences had left me thinking that a finite workday would be ideal; just clock out and sleep easy. But other internships reminded me how important it is to work towards the bigger picture—a place where, even at midnight on a Friday when your friends are texting you from the bar, you know you’re doing something meaningful. And start-ups? No thanks, I used to think. It seemed to me the worst of two worlds: the 24-hour intensity of a job that never ends, matched with the questionable ethics of a get-rich-quick scheme. (No offense intended to those awesome people I know who have had the guts, wisdom, and self-confidence to be entrepreneurs from the start. I never said I was right about any of this.) Still, the appeal of the “tech” industry eluded me. I may be a nerd, I thought, but I’m no geek. There’s a geek in all of us, though, and—as reporting has taught me all along—asking the right questions will make any subject, however seemingly mundane, totally fascinating. So even though I was clueless about NDVI imaging, precision agriculture, viticultural technology, and harvest planning, I asked questions in South Africa. This is what happens in a good start-up: the pieces begin to fall into place, and the vision becomes something worth working toward. It might even, if you’re lucky, come to consume you. Then the line between work and play is blurred, and you’re not trying to get rich quick or even get investors—you’re just trying to make something important happen, and you believe fundamentally in it. 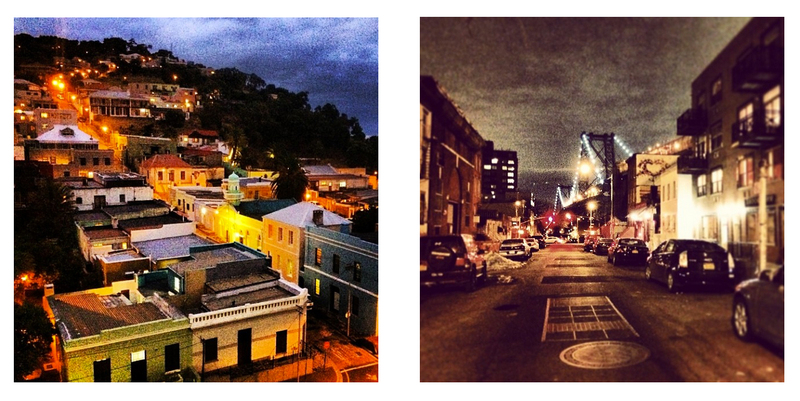 From Cape Town to Brooklyn, I’ve been lucky to live on some very cool streets lately. My first tech start-up chapter has closed—for now. Once again I’m not certain of the next step. I’m also not sure if I’m much closer to figuring out that work-life balance thing. But for the first time, it doesn’t matter and it doesn’t scare me. There are only two things I want: to work with people who make me work harder, and to believe in what I’m building. Sure, some people will always want to clock out at 5:00pm. The secret, though, is that everything’s more fun when the clock’s always ticking. Deadlines will make your heart beat faster, looming consequences will keep you focused, and that adrenaline rush? Time may pass, but it’ll keep you young. New York // California // Idaho // all spaces beyond. You'll get emails when I update with news posts!